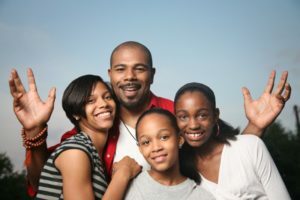 As the new year takes-off, one of your goals is to improve the oral health of your entire family. For that to happen, though, will greatly depend on you finding the right professional to work with. How should you go about conducting your search, though? Read on to learn 5 traits you should look for in a prospective family dentist in Hamden. One of the secrets to getting the whole family onboard with being more vigilant about their oral care is to work with a dentist who is willing to make each visit an educational experience. This type of professional will be patient, willing to answer questions and eager to share tips and improvements that can be made. For some patients, a visit to the dentist can be a little intimidating. One way to alleviate any anxiety, though, is for the office environment to be clean and inviting. Then, it helps even more to be greeted by friendly faces when you enter the practice. These subtle variables can make a lasting impression that impacts each family member’s oral health throughout adulthood. One way to feel safe and secure about the dentist you choose to work with is to know that he or she has been properly trained to provide the services that are offered. So take a look at the practice’s website to find out where your dentist received his or her education and whether there has been any postgraduate training. In general, you can expect a practice that stays abreast of the latest technological advancements in dentistry to provide more comfortable and effective forms of care. That also translates into less time spent at a dental visit. The dentist you choose to work with should provide access to online reviews so that you can evaluate what other patients have to say. Being able to read about another person’s enjoyable experience will make you feel more confident about your decision to work with the professional. This is the perfect time to make a decision on a dentist to care for the entire family because for most dental insurance companies, coverages have renewed. That means you have a fresh opportunity to maximize your benefits and get a return on your investment through scheduling preventive care visits. By working with the right professional, everyone will be able to experience the absolute best oral health! Dr. Ronald J. D’Andrea earned his dental degree from the University of Connecticut School of Dental Medicine. He then completed a General Practice Residency Program at the Medical College of Georgia in Augusta. Dr. D’Andrea combines his years of experience and advanced knowledge to help families improve their dental wellness at his private practice, and he can be reached for more information through his website.